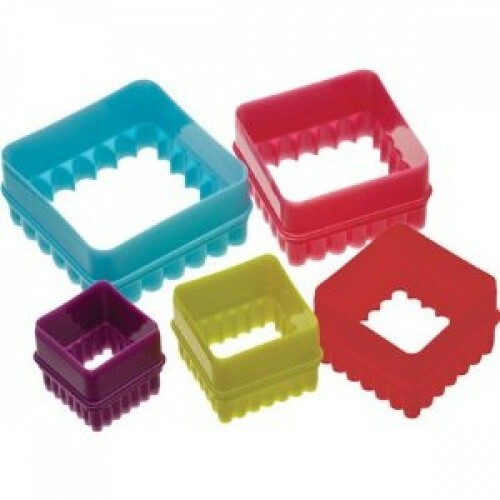 The Colour Works Set of 5 Nesting Square Cookie Cutters come with a Storage Case and are doubled edged for plain or fluted shapes. The set includes 7.5cm, 6.5cm, 5.5cm, 4.5cm, and 3.5cm sizes. 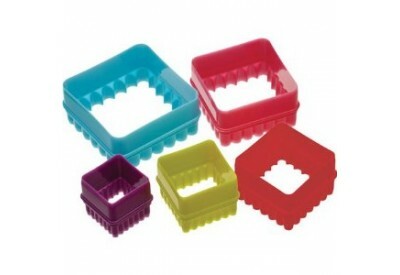 The cookie cutters have no sharp edges for safe use and are dishwasher safe.